Heatilator® continues to innovate with the Novus™ Series of fireplaces, which earned a Consumer Digest Best Buy in 2008. 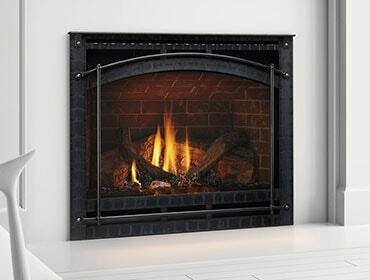 Now available, the Novus nXt is a value-priced, high efficiency direct vent gas fireplace. Since it can produce 30,000 Btus of heat per hour, it’s an excellent choice for homeowners who want to zone heat their living spaces. The Novus nXt is at the top of the list for value-priced fireplaces with many standard features including intermittent pilot ignition, ceramic glass that radiates more heat, and controls that allow homeowners to adjust the flames and heat to desired levels.